Cervo, a town on the Ligurian coast, houses the San Giovanni Battista dei Corallini (Chiesa di San Giovanni). It is one of the most striking sights I have seen after the Duomo of Orvieto! The construction of this church started in 1686 by Marvaldi from Conio along with his son Giacomo Filippo, who completed it in 1778. However, in 1887, the church was damaged in a devastating earthquake that rocked most of Southern France along with it and left over 2000 people dead. It took over 50-60 years to restore parts of the church and the bell tower and floors. 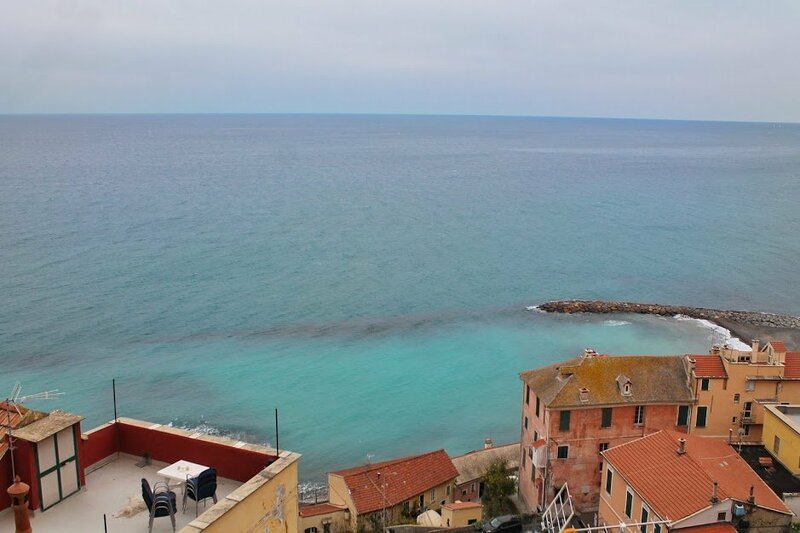 In the picture above you can see San Giovanni Battista glistening from the sea. The facade of this church is not only detailed but in dull pastel shades that are soothing and quite feminine. The insides are laden with marbled floor and baroque style interiors not to forgeta pulpit from the 16th century. There are also rich wooden carvings and exquisite altars. But of course nothing beats the view from outside the church!! My friend Adriana Oberto lives only half a kilometer from the church and has some amazing shots from her home. 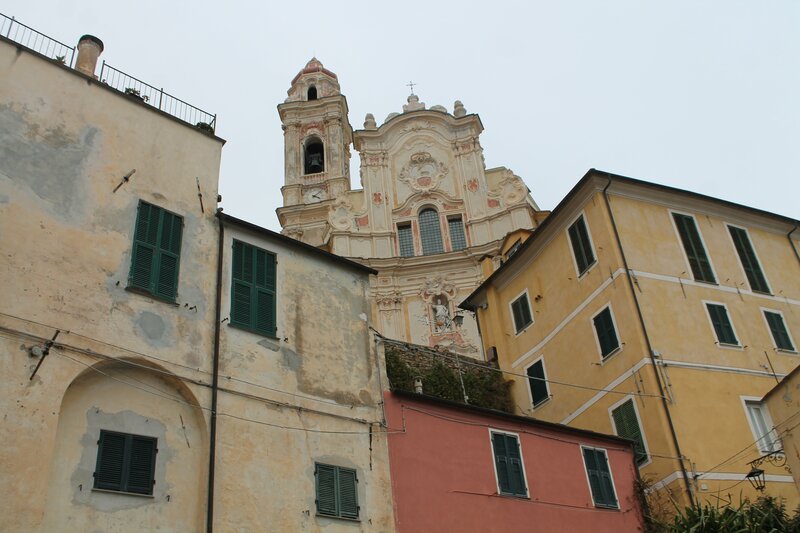 You’ll realize that the church of San Giovanni is really a sight to sore eyes. It makes you go WOW and then all you want to do is keep looking at it. It’s a sight to behold! That is an amazing church. Seriously you have to visit! Another lovely place to visit on my wish list! I know right. A romantic town too! As you say, really striking in context – love the pastels!